It’s now or never for the Tampa Bay Lightning’s playoff hopes. That’s been the feeling for many weeks, but with just 11 games remaining in the regular season, push has officially come to shove. After dropping a 5-3 decision to the Washington Capitals on Saturday, the Lightning are two points behind the Toronto Maple Leafs for the last wild card spot in the Eastern Conference playoff race. Also impacting the situation is that the Maple Leafs have one game in hand — an opportunity to earn two points the Lightning don’t. The Lightning had just gotten back to being a healthy team — save for Ryan Callahan and Steven Stamkos — before they lost three centers (Tyler Johnson, Vladislav Namestnikov and Cedric Paquette) to lower-body injuries on March 9. 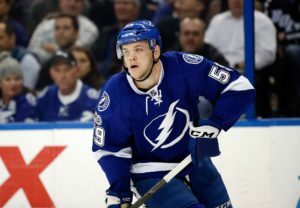 Without those players, the Lightning have iced a roster that includes a handful of players from their American Hockey League affiliate, the Syracuse Crunch. Jake Dotchin, Gabriel Dumont, Adam Erne, Byron Froese, Yanni Gourde and Luke Witkowski were among the players who took to the ice as the Lightning hosted the Washington Capitals on Saturday. While the Lightning’s loss to the Capitals meant they dropped back-to-back contests for the first time since Feb. 2, they were fortunate in that Saturday’s loss came on the same night the Leafs and New York Islanders each dropped overtime contests to earn just a single point. With just 11 games to go, what will it take for the Lightning to earn their fourth straight playoff berth? 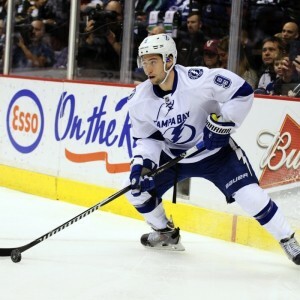 To earn a playoff berth, the Lightning must have more balanced scoring. Let’s face it, without Nikita Kucherov’s performance over the course of this season — and in particular, the past month — the Lightning would not be within arm’s reach of a playoff spot with just under a dozen games to play. The Russian winger has 12 goals and 10 assists in his past 13 games. His 71 points are also seventh in the league and he’s already set career-highs across the board offensively in just 64 games. After Kucherov, the Lightning have received limited offensive production from other players over that same 13-game span. 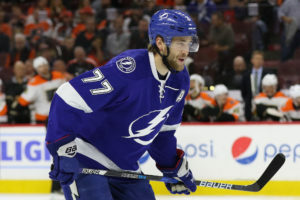 While Victor Hedman has tallied 11 points and rookie Brayden Point has contributed seven of his own, other players have struggled, particularly in the goal-scoring department. 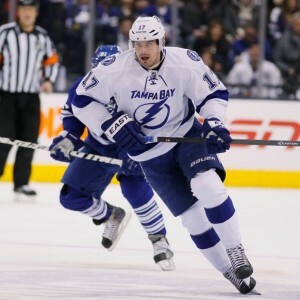 Alex Killorn snapped a 16-game scoring drought when he found the back of the net against the Capitals on Saturday. 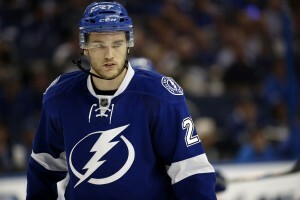 Jonathan Drouin has nine points but has scored just once in the past 13 games — his last goal being the thrilling overtime winner over the Colorado Avalanche back on Feb. 19. Ondrej Palat has compiled three goals and six assists but has scored just once since tallying a pair of goals on Feb. 21. 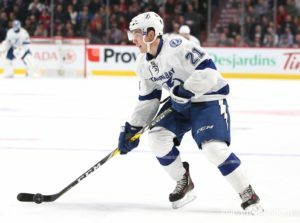 There’s no doubt that trades and injuries to other players have impacted Drouin, Killorn and Palat, but for the Lightning to remain competitive, they will need more offensive output from these players down the final stretch. To earn a playoff berth, the Lightning must play a better defensive game. The Lightning have gotten to where they are in the standings by playing a more complete game defensively over the past couple of months, but gave up five goals in back-to-back games for the first time since yielding five to the Pittsburgh Penguins on March 3. Against the Maple Leafs on Thursday, the Lightning failed to clear the front of the net or control loose pucks, directly resulting in a least four of the Leafs’ five goals in the 5-0 defeat. During Saturday’s 5-3 loss to the Capitals, the Lightning entered the third period tied 2-2 but defensive lapses resulted in a pair of goals to put them in a hole against the Metropolitan Division leader. The Lightning cut the lead to one goal late in the third period but the Capitals put it out of reach with an empty-netter. Andrei Vasilevskiy has taken the starting goaltending role and ran with it, but the team’s defense — from both forwards and defensemen — has to be what it’s been over the recent past leading up to these last two games in order to give them a chance to compete for the wild card spot. 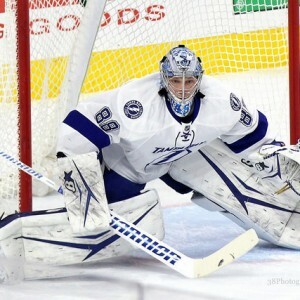 To earn a playoff berth, the Lightning must point now. This certainly isn’t a revelation, but it’s reality. The Lightning simply can’t afford to skate out of games without points. Of their 11 remaining games, they play Eastern Conference teams in eight contests and at Amalie Arena six more times. They face playoff-bound teams six times, including one remaining matchup against the Maple Leafs in Toronto on April 6 — one that could make or break playoff hopes depending on what happens between now and then. Just six points separate the eighth place Maple Leafs (78 points) from the 13th ranked Carolina Hurricanes (73), meaning the final wild card spot in the East is officially up for grabs. At the same time, though, it also means a string of losses (going pointless) can drop you right out of the playoff picture very quickly. The Lightning host the Arizona Coyotes on Tuesday in a game that’s a true ‘must-win’ if they want to keep their playoff hopes alive. Despite the injuries that have plagued the team throughout the season, a playoff berth is within reach — something hardly anyone could have foreseen weeks ago. It’s a playoff race that could come down to the wire for the Lightning but could just as easily slip away. They are a team that could be dangerous if they make the playoffs — especially if they get healthy — but earning that opportunity is all that matters right now.